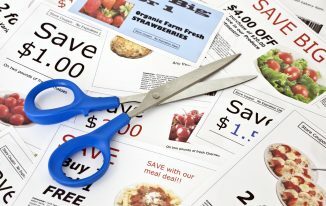 Clipping coupons can be a great way to save money each month but, especially when just starting out, for many people it can be overwhelming. There is just so much information to take in and process. Where do I find the best coupons? How do I best use them? How much will it really save me? These are very common questions for new couponers to ask and if you ask ten different people then you will likely get ten different answers. One thing is for sure; learning to effectively organize your coupons will save you a great deal of future frustration and stress. In this article we will help provide information on how to start organizing your coupons and becoming more efficient in the process. This certainly applies most to beginners or novice coupon users but can just as much apply to a seasoned couponer that needs help in this area as well. To start off with let’s discuss why it is important to develop an effective way to organize your coupons. Reduce Stress – Nothing is more stressful than searching high and low for a coupon you ‘know you have’ but cannot find during checkout. The line behind you starts to build, your kids find even more ways to cause trouble and your face begins to turn red. We have been there and done that and is this was one of the primary reasons we had to get serious about our lack of coupon organization. This is also another reason why we try to avoid shopping with our kids and have developed other shopping tips outlined HERE. It’s a Time Saver – Any way you look at it redeeming paper coupons during checkout takes time. When we go grocery shopping we usually have at least 40-50 coupons to redeem, not just one or two. Being reasonably organized makes our checkout experience much smoother and quicker. It also makes for a much more pleasant experience with the checkout clerk who will also appreciate your efforts to be organized. 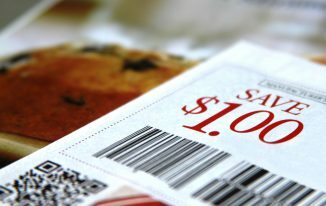 Increase Coupon Efficiency – Being a well organized couponer will reduce the chances that you can’t find a coupon during checkout that you ‘know you have’. These are the coupons that you will find later when you return home when they are just about useless to you. These ‘missed opportunities’ to save money can really add up if they occur with any frequency. 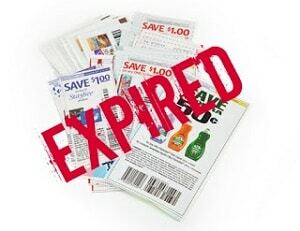 Expired Coupons – The last benefit to organizing your coupons is reducing the number of expired coupons you throw away each week. 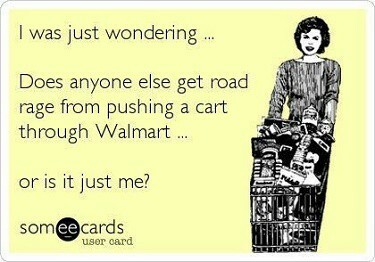 This is an inevitable part of couponing. Part of my weekly routine is looking through my coupons to find the ones that are expired (or closing on in their expiration date). This is part of having an organized approach to coupon use. On a side note – if you want to pay-it-forward then do not just throw away your expired coupons. Instead donate them to military families stationed within a military base whom are allowed to use coupons six months beyond their expiration dates. There are numerous websites dedicated to this very worthy cause – click HERE to check them out. Also, there are numerous Facebook Groups that offer coupon support to our military families. Remember, sharing is caring! Junk Drawer Method – this isn’t really a ‘method’ but it is what we find many new couponers do with coupons that they have recently clipped. To be fair this is exactly what we did when we first started out. We would find coupons in our Sunday paper or at one of the many websites dedicated to printable coupons and we would store them in a junk drawer in our kitchen. Then when it was time to food shop we would rummage through the drawer looking for the coupons we knew (or thought) we clipped hoping that they were still valid and not expired. Hopefully we would find what we were looking for but, unfortunately, most of the time we would not. Obviously this is not an efficient or effective approach to organizing your coupons. Maybe it is a good place for a beginner to start but if you want to get serious about saving money each week then you need to adopt a more formal approach. Purse Method – Many couponers get tired of searching through their junk drawer for coupons so they designate a spot in their purse for them. The big advantage being the coupons are at least with you when you are shopping. The disadvantage being you still need to sort through them to find the ones you need and if you have seen my purse you would know that this is not an easy task. I have become a hoarder of receipts and they have effectively taken over my purse which makes looking for coupons nearly impossible. While this is a step up from using a drawer it still is not an ideal way to store coupons. Envelope Method – We used the envelope method for some time when we decided that the drawer and purse methods were no longer cutting it. We would sort our coupons by category and keep each category in a separate envelope. For example we had one labeled ‘baby’ and we would put all our baby related coupons (diapers, wipes, formula, etc.) in this envelope. This way it was much easier to find a specific coupon and not spend all our time sorting through ALL of our coupons. Now, I will admit that this actually worked fairly well for us and even my husband was not opposed to carrying around a few envelopes with him at the grocery store. We also had one envelope marked ‘current’ which was full of the coupons that we planned on using during that trip to the store. For example if I knew I needed diapers I would pull those coupons out ahead of time and have them in the ‘current’ envelope. To work properly this, as well as most coupon methods, do require a time commitment to preplanning your grocery store trips. This way you have time to look over your grocery list and pull out the coupons you need. This also allows you time to look over the store’s weekly sales flyer to see if there are any deals you can ‘stack’ with a coupon and add to your stockpile. If you don’t take the time to plan then you will find yourself searching through multiple envelopes while at the grocery store which is never a fun exercise. Coupon Binder (Organizer) – The final coupon method that we currently use and advocate strongly that our readers use is the coupon binder (or book) method. 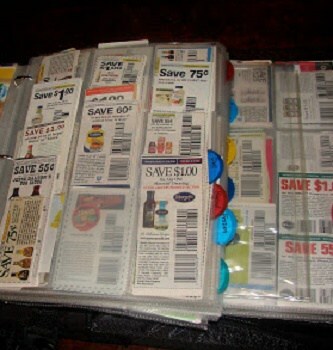 It is by far the best way to organize your coupons and maximize savings opportunities. 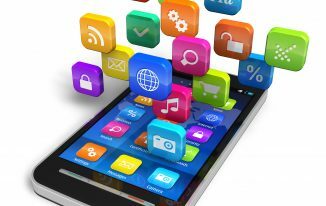 Let’s dive into its benefits and how we use this method to save time and money. 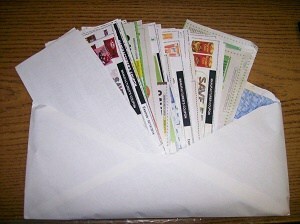 The coupon binder method to couponing is very basic but does take time and little bit of money to start. First, you need to get a sturdy 3-ring binder. These can be found at most retail stores and you don’t need anything over-the-top or expensive. We know there are some coupon binders for sale on Amazon that offer different types of covers and inserts. These are nice but not everyone wants to spend money on these – after all the idea behind coupons is to SAVE money. We just purchased a standard 3” binder from Walmart during the back-to-school sales. TIP – have your name and contact info somewhere inside your binder (the first page is a logical place to store this). This way if your binder is lost and left at the grocery store (yes, this happens more than you think) then the store will be able to see who it belongs to and will have the ability to reach out to you. There’s nothing worse than losing a binder full of coupons that you have spent the time and energy to clip, sort and store. After the binder you will have to buy some pages or sleeves that work for coupons. Personally we use clear plastic pages that are traditionally used for sports cards. These have nine separate pouches per page and are a perfect size for most coupons. We also use full size pages that are made for comic books or 8×10 photos to store coupon inserts we get from the Sunday newspaper. Both of these can be purchased at most Walmarts or you can purchase them in bulk at Amazon or BCWsupplies.com. Now comes the hard part – how do you sort your coupons within your binder so they can be searched through quickly? There are a few different methods out there but we’ll focus on the one we prefer which is by coupon category. We divide our coupons into each of these categories and make reasonable efforts to keep ‘like’ items together. Doesn’t always work out but the thought it there. We try to promote a keep-it-simple approach to coupons and coupon binders. We recognize that there may be value for some people to be super organized but we simply do not have the time. For example some couponers will arrange their coupons alphabetically or by expiration date. Others will cut out EVERY coupon from their weekly coupon insert so they can be sorted individually. We choose to only cut out the coupons we know we are likely to use and then we bring the leftover insert just in case we find a deal and want to use a coupon from it. In the end you need to develop your own coupon style that fits for you and the time you have to dedicate/maintain it. There is really no ‘wrong’ way as long as in the end you are saving money. 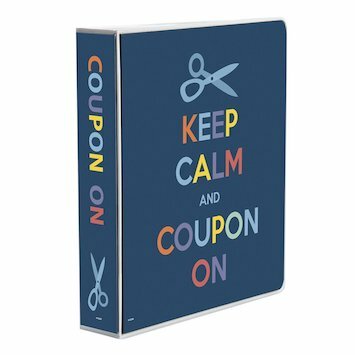 If you are just starting out or only use a few coupons each week then a full size coupon binder might be way more than you need. In that case we recommend looking for a small coupon organizer like the ones found on Amazon HERE. These will still allow you the option to separate your coupons into categories and the ability to quickly ‘thumb’ through them as needed. The key is to be organized which will lead to a less stressful and more effective trip to the grocery store. We hope this guide will help you get 2018 off to a good start with plenty of saving. Be sure to check out our other coupon articles to help improve your couponing IQ.